Through a process-oriented quality management, we are able to achieve a continuous improvement in our performance and safety in all processes. With our entire team, we are able to achieve a high degree of quality and quantity. Partnership and trust towards our employees is a must. With each other and for each other: Top down and bottom up. Our duty of care towards our employees is paramount. 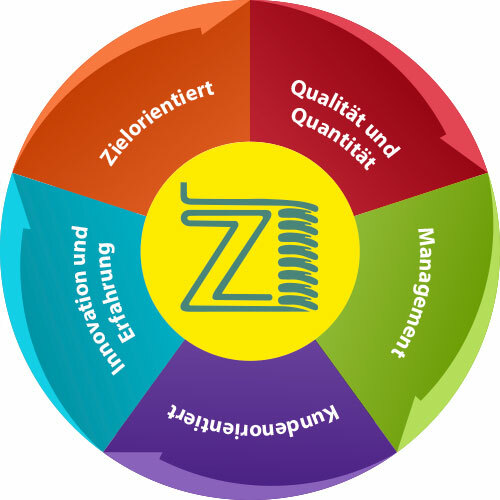 Through a “customized flexibility”, we assure a continuous quality and delivery reliability for our customers. Through our ISO/TS 16949 certification, as well as to the “known consignor” approval in accordance with Regulation (EC) No. 300/2008, we possess the prerequisite to conduct a trouble-free global distribution. We try to fulfil the wishes of our customers whenever possible. We have an experienced team with world-class expertise at our disposal. We consistently increase our expertise through education and training. The high technological level of our machinery allows us to practice a high degree of flexibility in all respects. Innovative and solution-orientated products are what drives us.